Gorton's sampled a line of gluten-free allergy-friendly wild-caught seafood dishes called Hook Line & Savor. The frozen entrees will be test-marketed later this year with a possible nationwide roll-out in 2019. 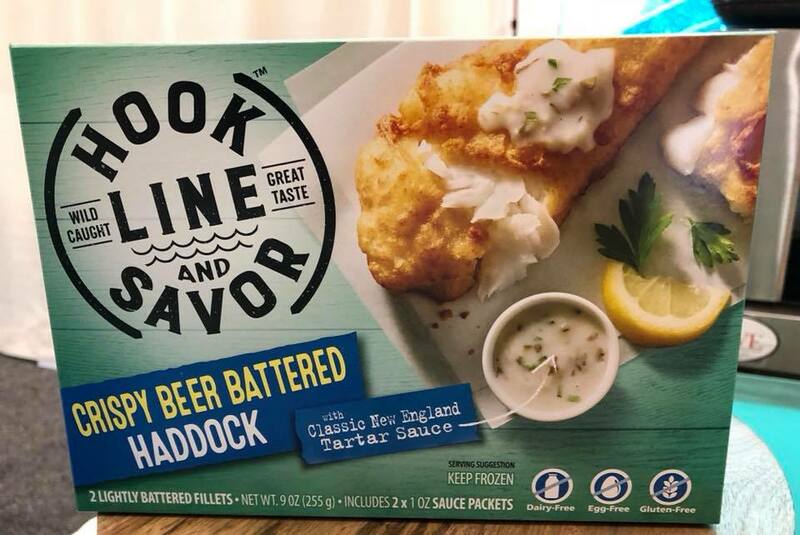 The Crispy Beer Battered Haddock is made with Glutenberg Blonde Ale; other varieties are Black Bean Crusted Cod and Citrus Ginger Salmon. 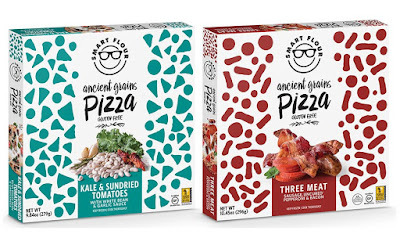 Smart Flour Foods, which unveiled a refresh of its packaging, is introducing two flavors to its lineup of ancient-grain gluten-free pizza. The Three Meat is topped with sweet Italian sausage, spicy uncured pepperoni and bacon. The Kale and Sundried Tomato with a Garlic White Bean Sauce starts with a sauce of pureed white beans and garlic, and is topped with green kale and sundried tomatoes. 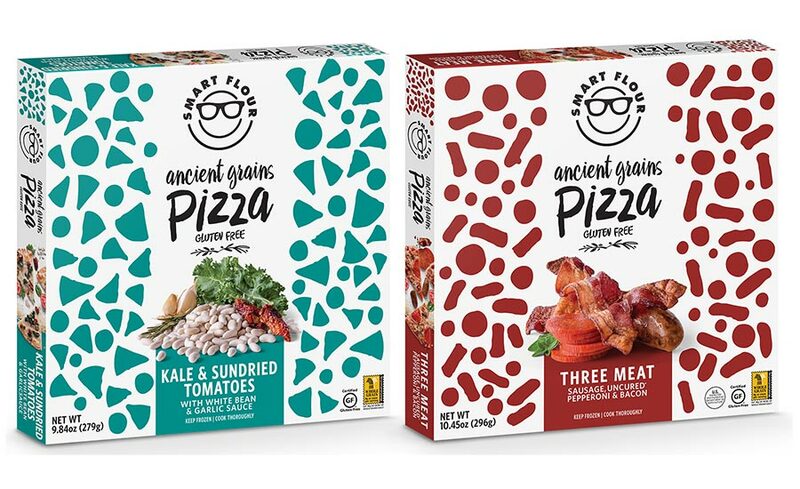 The new pizzas will be in stores in 2019 with a suggested retail price of $7.99. Kidfresh's first gluten-free addition to its line of kid-friendly frozen entrees is White Mac 'n Cheese. 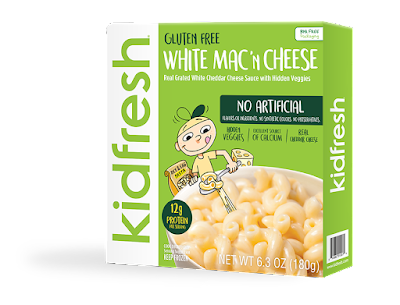 The cheese sauce is made with pureed white beans - kids will never know the difference. 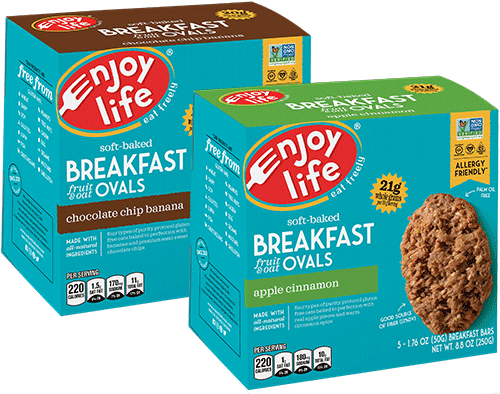 Gluten-free and allergen-friendly Enjoy Life sampled its new soft-baked Breakfast Ovals, made with four types of purity-protocol gluten-free oats and real fruit. The line includes Apple Cinnamon, Chocolate Chip Banana, Maple Fig and Berry Medley. The new Birthday Cake sandwich creme cookies from Goodie Girl Cookies were amazing, as were the Blueberry and Cinnamon Brown Sugar breakfast biscuits that the company is working next. The company is also considering production of animal cracker cookies called Mystical Crackers. 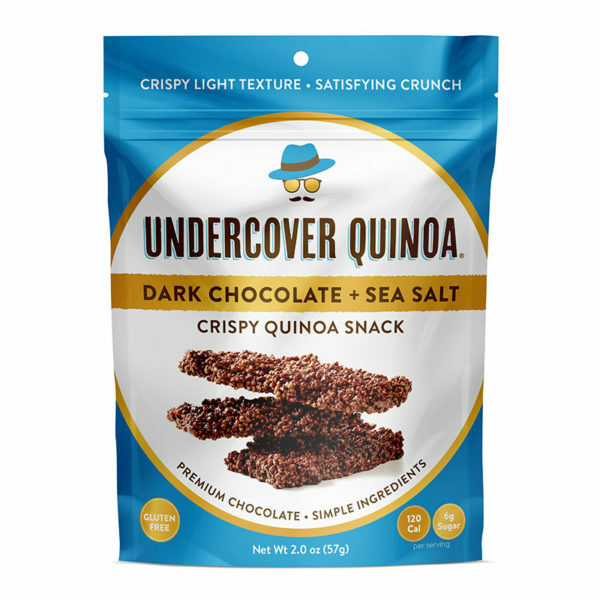 The Undercover Chocolate Co.'s Undercover Quinoa line is a variety of crispy quinoa covered in fair-trade chocolate. 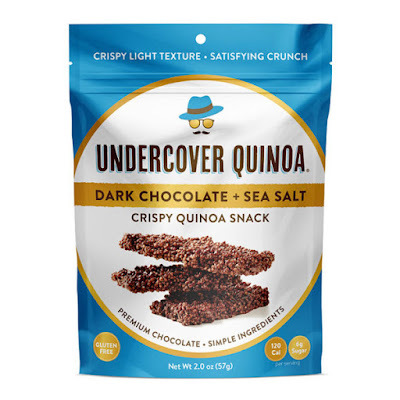 The five flavors includes Dark Chocolate & Sea Salt, Dark Chocolate & Blueberries, Dark Chocolate & Seeds, Milk Chocolate and Milk Chocolate & Currants. Farmwise, the makers of Veggie Fries, Veggie Tots and Veggie Rings, has created a new healthier chicken category with the launch of Chicken Veggie Nuggets and Tenders. 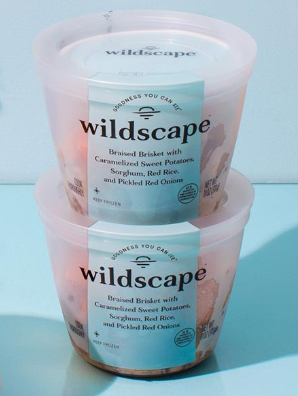 The new products are made from 100% white meat chicken blended with broccoli, carrots, white beans and potatoes. Little Northern Bakehouse's Sprouted Honey Oat Bread is one of four new varieties from the Canadian gluten-free bakery, the others being Sprouted 7-Grain Bread, White Wide Slice and Whole Grain Wide Slice. Toasting the Honey Oat brought out a crunchy sweetness. The breads are sold throughout North America (store locator). 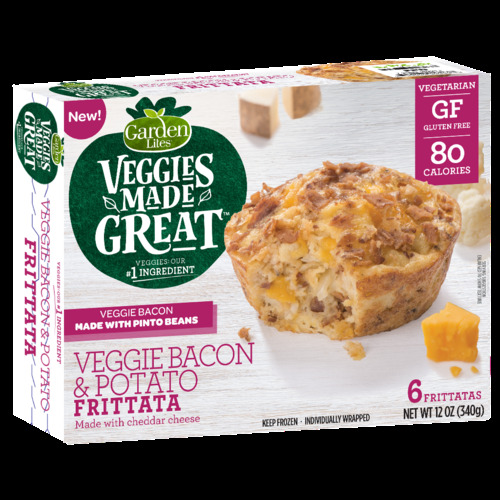 Garden Lites debuted a new breakfast category item, frittatas. The flavors including Egg White Spinach Frittata and Veggie Bacon & Potato Frittata. 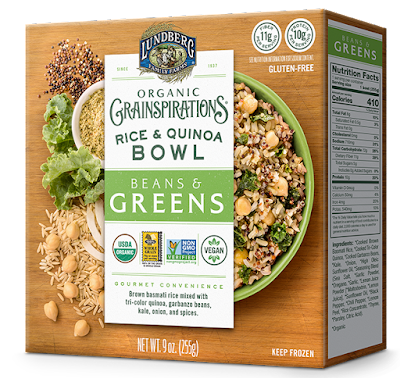 Lundberg Family Farms' new Organic Grainspiration Rice & Quinoa Bowls are made with its popular organic brown basmati rice and organic American-grown quinoa. They are available in five flavors: Beans & Greens, Veggie Chorizo, Korean Style Chili, Spicy Southwestern Style and Vegetable Biryani Style.